A two-seat low-wing monoplane basic trainer aircraft of conventional design with a fixed, tailwheel undercarriage. The pilot and instructor sit in tandem in an enclosed cockpit. The prototype flew during September 1936 and production of 48 aircraft began during 1938. A highly successful biplane two-seat trainer and sports aircraft that has been sold widely since 1933. 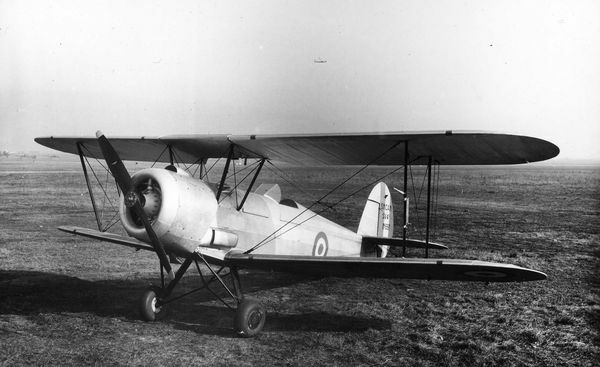 A military biplane basic trainer that was first flown in 1933. It was designed for to meet a military requirement and eventually a batch was procured in 1938 to a modified design SV.9 with a metal, variable-pitch propeller and upper wings moved 2 cm rearward to improve the centre of gravity. Export versions include; the SV.6 with a 350hp Armstrong Siddeley Cheetah, the SV.7 with a 500hp Pratt & Whitney Wasp Junior and spoilers under the upper wing and the cheaper SV.8 with a 240hp Armstrong Siddeley Lynx IV radial. A two-seat low-wing monoplane advanced trainer powered by a 450hp Wright Whirlwind R-975-E3 radial piston engine. The instructor and pupil sit in tandem under a fully enclosed canopy. The first prototype flew on 30 June 1938 and had a fixed conventional landing gear and an inverted gull wing. The second prototype was fitted with a retractable landing gear and the third prototype was fitted with a new straight wing and this became the basis of the production version. Fifty were exported to Belgium in 1940. A variant of the SV.4 powered by a 185hp Mathis G.7R engine. First flown in September 1946. The prototype has the registration OO-SRX. The Belgian Air Force ordered 12 in 1946 for delivery the following year to replace their aging SV.4 fleet as an interim type until the RS.9 enters service. A single-seat variant of the RS-6 first flown in June 1948. A two-seat tandem-seat monoplane basic military trainer. Powered by a 185hp Mathis G.7R engine. The first flight was made on 11 July 1947. The aircraft entered Belgian service during late 1948 and 40 were ordered. RS-7B: An aerobatic competition aircraft based on the standard RS-7 but fitted with a 145hp Blackburn Cirrus Major II, first flown in 1948. RS-9: A variant of the RS-7 with a tricycle undercarriage and a 210hp Continental piston engine. The prototype first flew on 27 October 1949. Entry into service was during 1950. RS-10: A variant of the SR-7B with a single seat and 210hp Continental engine. First flown in May 1949.